It’s your TV. Take it with you. 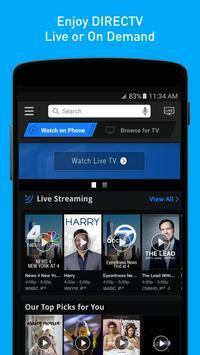 Download the DIRECTV app, a companion to your DIRECTV service, and enjoy a world of entertainment. 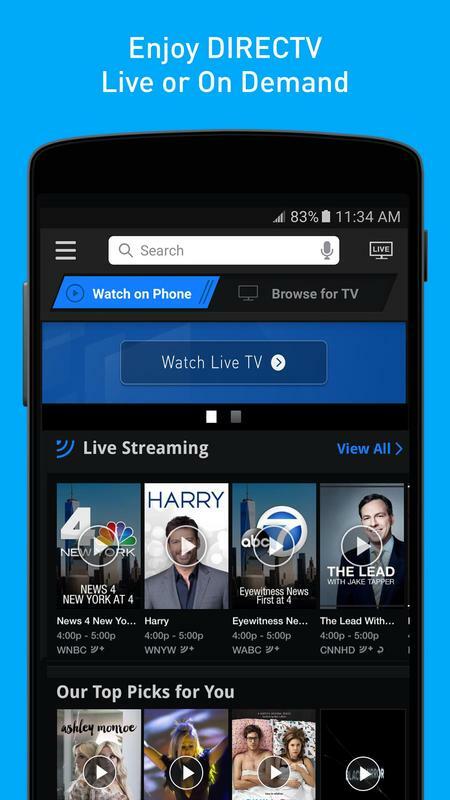 Watch Live TV and recorded shows, catch up on the latest movies and shows with On Demand, and schedule recordings on your DVR—no additional equipment needed, at no extra cost. Plus now stream DIRECTV data-free on AT&T. • Switch screens! 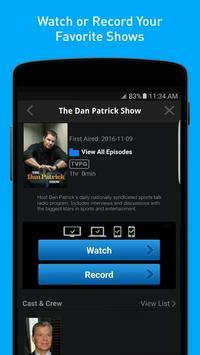 Watch your favorite show on one device then tap a button to send it to the big screen. 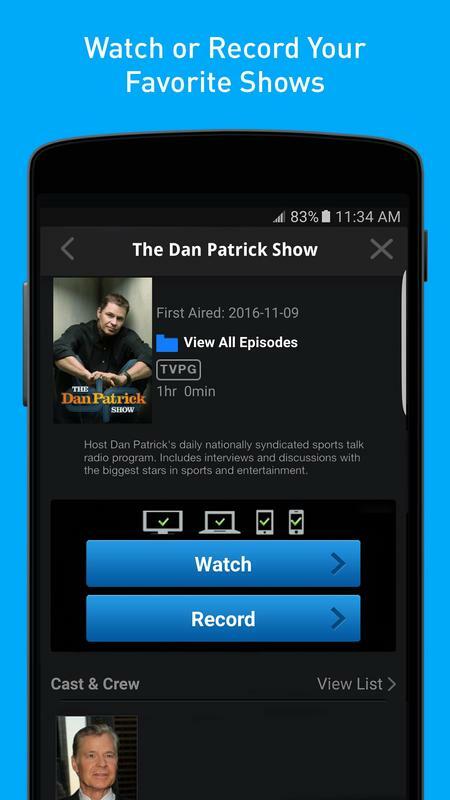 And vice versa—send a show from your TV to your device and take your content with you! • Record your favorite movies and shows from anywhere! • Watching On Demand or select Live TV Streaming channels outside the home requires an active Wi-Fi or 3G/4G Internet connection. For best performance, connect to a strong Wi-Fi signal. In rare instances, scheduled recording(s) may not be recognized. Only available on certain receivers. 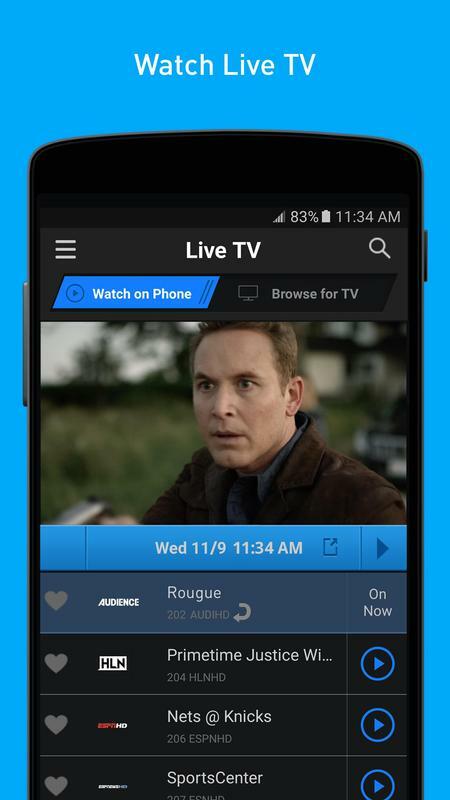 Thanks for using the DIRECTV app! We’re working hard to improve your experience! Here’s what’s new in this update.